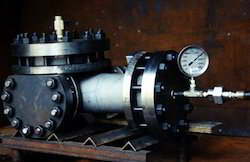 We are offering wide range of Pressure test applicable to various pipeline & AFC. We have achieved the quality standard with suitable pressure test to find out leak in the system. 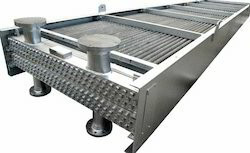 To Compete the satisfaction of customer requirements in Pressure Testing. We offer the wide range of testing standards to achieve the quality. We doing this for last decades and have enough experience. We have highly experienced in Testing the pressure of pipelines with various medium such as Pneumatic, Hydro and Oil. whereas a pneumatic test uses air, nitrogen, or any non-flammable and nontoxic gas. With the Knowledge of Experienced persons we carried out the Hydrostatic pressure (Water Leak) Test for the pupose to find out the Strength and leaks in the Pressure vessels. Looking for Pipelines & AFC Pressure Testing ?